Top 10 esiest way to earn money with Android or iOS Apps which gives Paytm or Paypal Cash for completing daily tasks.These are the easiest way to make money with smartphone. 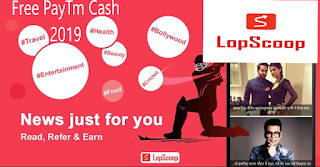 Cash For Video is one of the best mobile application to earn some money with your smartphone. If you haven't try this app, try it now. This is the highest paying app and it is sponsored by Exaltare Mobile Apps. There are plenty of apps on playstore but cash for video is one of the best app. If you really want to make money using apps then download cash for video. 1. There are total 8 video channels to watch. For each one video you watch you get 1 credit for each video. 2. Refer your friends and earn when they put your referral code. For each friend you get 50 credits. 3. Perform daily tasks. To perform daily tasks you must ask app support team then they will tell you how to do it. For each tasks you get 100 credits. 4. Grab special offer. Ask app support team they will send you special offer for you. For each special offer you get 250 credits. 5. Open the app and get daily bonus. You will get daily bonus everyday when you open the app. Money Machine is very similar to cash for video it is the another product of Exaltare Mobile App. Here you have 4 video channels to watch each video give 1 credit that's very less. You can perform daily tasks for 100 points but you cannot perform speacial offer in this app. This App also one of the best app on playstore to make money. This is a new way to earn money with your android device. 2. The best way to earn points is perform daily tasks for 100 points. 3. Dowload apps from app offer there are 6 App Offers. 4. Do Survey. You can earn lots of points if you are good in doing survey. But most of the user failed to do it. 4. Refer your friend. When your put your referral code you get 50 credits. The best way to earn money with pocket money app is use pocket money if your smartphone is new. With new smartphone you can earn lots of money with pocket money app. You can earn with your old smartphone also but you get less money. Because you have to download apps through pocket money app in order to earn money. Pocket money pays when you install new app through pocket money app. And it doesn't pay for the app if you have installed before. Pocket Money is the app which gives cash for downloading apps. This app gives upto Rs. 100 for downloading per app. Some app need to keep 7 to 10 days to received full amount. When you reach Rs. 20 you can redeem Paytm cash. Within 10 seconds you will received the amount in your Paytm. 2. Earn by downloading apps. 3. Earn on incoming calls by setting up ringtones. 4. Earn by inviting friends. 5. Participate daily contest and earn. 6. Earn money for watching videos. Champcash is number one android app in India which is 100% free networking application in which anyone can earn unlimited real money. You get income by online shopping, installing apps, income junction and inviting friends. You also get money when your reffered friend does shopping, installing apps, income junction and inviting friends. The most amazing thing about this app is you get commission upto level 7. Slide Joy is an android app which gives cash for sliding lock screen. Slide Joy lets you make money to check trending news and to unlock your lock screen. Reddeem them to your PayPal account or gift card. To earn money with slide joy is very easy. But it takes time for $ 2 you have to wait 7 months. I hate this app. But if you want to see you can use it. 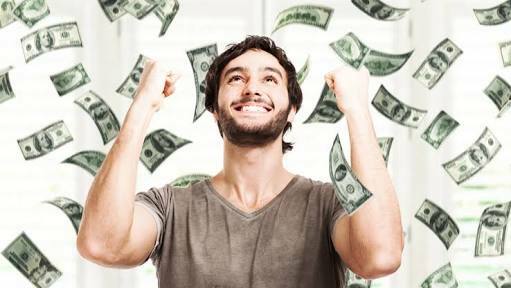 Earn real money by completing few tassks inside this app. Easily make free money by watching videos, downloading apps, completing survey, giving opinion, testing services, endorsement, free trials and daily bonus. Make Money is not trusted app it gives cash when you redeem for the first time later it stopped giving money. BancRecharge is one of the worst app it doesn't give you any money so please don't use this app. Now BancRecharge changed their name to Light. On Google play store rating are good and people comments also very good but in reality they are fraud. BancRecharge App gives you free paytm cash, free paypal cash and gift card. First of all, I thought wowapp is the best app to earn money. But it takes time for $ 1 you have to work 1 year this is useless for making money. Wowapp is also like WhatsApp and sometimes it is better than WhatsApp. You can chat, video call or voice call without any cost. In wowapp you can do shopping, playing games etc. You can do lots of things in this app. For doing all these they give money. If you want you can join by clicking below. But I personally don't like wowapp.